As the Walt Disney Studio entered its first decade and embarked on some of the most ambitious animated films of the time, Disney hired a group of "concept artists" whose sole mission was to explore ideas and inspire their fellow animators. They Drew as They Pleased showcases four of these early pioneers and features artwork developed by them for the Disney shorts from the 1930s, including many unproduced projects, as well as for Snow White and the Seven Dwarfs, Pinocchio, and some early work for later features such as Alice in Wonderland and Peter Pan. 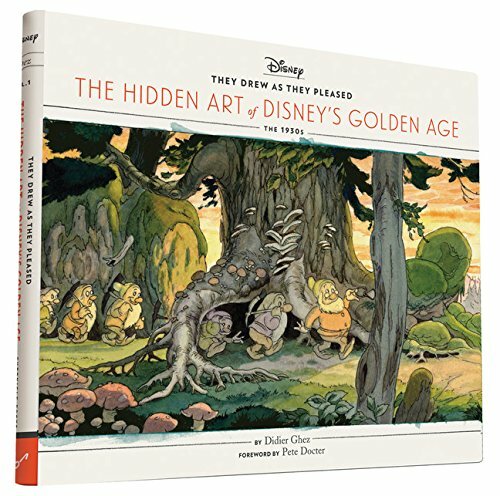 Intro¬ducing new biographical material about the artists and including largely unpublished artwork from the depths of the Walt Disney Archives and the Disney Animation Research Library, this volume offers a window into the most inspiring work created by the best Disney artists during the studio's early golden age. They Drew as They Pleased is the first in what promises to be a revealing and fascinating series of books about Disney's largely unexamined concept artists, with six volumes spanning the decades between the 1930s and 1990s.